The main people living in ancient Hainan province were the Li. 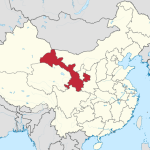 The ancestral people of the Li are the Yue and the Luoyues who lived in the area of Guangdong and Guangxi provinces. The Li came to Hainan in the later part of the Shang dynasty (1700 – 1100 BCE). Some Miao (Hmong) people lived there as well. During the Western Han dynasty (206 BCE – 23 CE), the emperor established a presence by moving Han people to the island. Hainan province played a role in China’s history from ancient times. During the Western Han dynasty, government outposts were developed on the island. The ethnic Li people rebelled and the Chinese left the island in 100 BCE. In the Tang dynasty (618 – 907 CE), another attempt at governing the island was made, this time it was successful. The role of the island, either as an independent province or as an addition to another existing province, changed multiple times during later dynasties. The Northern and Southern Song dynasties (960 – 1126 CE and 1127 – 1279 CE respectively) saw the island placed under the rule of Guangxi province. Later, during the Yuan dynasty (1279 – 1368 CE), the Chinese court named the island Hainan and made it a province. Once again, the island reverted back to land belonging to another province when, in the Ming dynasty (1368 – 1644 CE), the court pronounced the island belonged to Guangdong province. Finally, in 1988, Hainan was once again, officially made a province in modern China. During the Western Han dynasty when the Han people moved to the island, they settled on the north side of the island. They built walled cities as protection from the ethnic Li people. During the successive rule by different dynasties, the ethnic Li people split into two groups. One group, the Shu Li (civilized Li) developed from intermarriages with the Han people in the cities. The second group, Sheng Li (wild Li), remaining true to their ancestors, did not intermarry and stayed in the mountainous regions of the central and southern part of the island. In the mid to later part of the Ming dynasty, troops from the Chinese mainland came to the aid of the Han and Shu Li citizens when the Sheng Li rebelled. These rebellions were costly to the dynasties in terms of soldiers (more than ten thousand) and money (hundreds of thousands). Over the years of dynastic rule, the people of Hainan existed in a feast-or-famine routine. The island’s riches were exploited by wealthy families living on the island or at an emperor’s court, and by greedy and unscrupulous tradespeople, which left farmers and fishermen with little money. Taxes levied on imported and exported goods by the Chinese emperors harmed the poorer inhabitants first, but ultimately, hurt the wealthier citizens too. In addition, if these issues were not enough, pirates showed up! As goods going to and from Hainan could only be transported by ship, piracy took profits from everyone on the island. The wealthy no longer bought goods from the poor to place on the ships and the ship’s cargo could no longer be sold for profit since it was now in the hands of pirates. Both groups lost with these series of events and the island’s inhabitants were once again, destitute and poor. The future for Hainan brighten in the late Qing dynasty (1644 – 1911 CE) when the British Navy stopped piracy on the seas and removed pirates living on Hainan. In ancient times, Hainan was a place to exile undesirables. During the Tang and Song dynasties, emperors sent disgraced palace officials to the island, for example Tang dynasty prime minister, Li Te yu (Li DeYu, Li Yude) and Song prime ministers Li Gang, Zhao Ding, and Li Guang. Additionally, exiled on Hainan were scholars and poets, for example, from the Song dynasty, the exiles included Hu Quan and Su Shih (Su Dongpo). Foreign religious groups came to Hainan beginning in the late Ming dynasty. Over time, they established churches, orphanages, and hospitals and converted some of the local people to their respective religions. These religious groups, namely Jesuit, Catholic, and Presbyterian, played an increasing role in the island’s politics and trade with other foreigners and the Chinese on the Chinese mainland. Many of the priests spoke multiple languages, such as English, French, Spanish, Portuguese and Latin. Additionally, many of them learned to speak and write Chinese, thus becoming translators and ultimately, go-betweens with the Ancient Chinese courts and foreign governments wishing to trade with China. Haikou in the north of Hainan is famous for the building complex of the Temple of the Five Lords or Five Official’s Temple. The temple is dedicated to the exiled officials from the Tang and Song dynasties. Originally built during the Ming dynasty, it was renovated during the Qing dynasty and stands as a monument to the work of these ancient men. 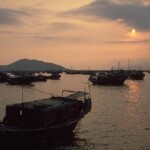 Located off the coast of southeast China in the South China Sea, Hainan province is an island with a tropical climate. It is a large island with 35,000 square kilometers (13,500 square miles) of sandy beaches, flat plains, rivers and waterfalls, forests, and tall mountains. One prominent area, Five Finger Mountain (Wuzhi Shan), with peaks over a mile high, makes it China’s tallest mountain. Tropical trees and grasses such as palm and bamboo co-exist on the island with forest hardwood including teak and sandalwood. Native deer, bears, and monkeys share the richness of the island, while fish and seafood are abundant in its waters. In ancient times, Hainan province had abundant minerals including salt, and metals, such as copper and iron. 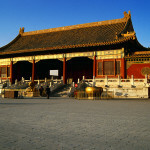 Additional natural resources included semi-precious gems, such as pearls, which many emperors and their courts coveted. Unfortunately, for the people supplying the pearls, the courts desire for more and more pearls soon outstripped the quantity produced. An area of the northern part of the island was known as Shore of Pearls. Hainan province was an agricultural society growing vegetables and fruits, and raising native Yellow Cattle. It is famous for its manufacturer of incense from sandalwood and aloeswood. Medicinal herbs found in the tropical forests were used on the island, as well as traded to the Chinese mainland. The ancient Li people carved wood and had a high-level of weaving and embroidery skills.